The pull of anticipation, parade or smartphone updates, which is stronger? 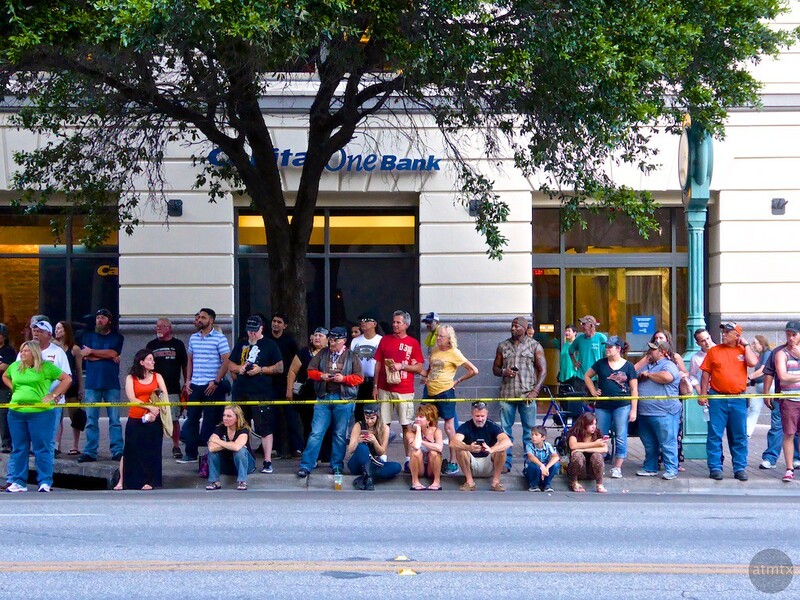 Shot on Congress Avenue before the 2016 ROT Rally Parade in Austin, Texas. Top photo at 70mm equivalent, the bottom at 200mm. It’s the kind of photo I didn’t take when I only used a 35mm prime. My Panasonic ZS50 enabled me to shoot this from across a very wide street. 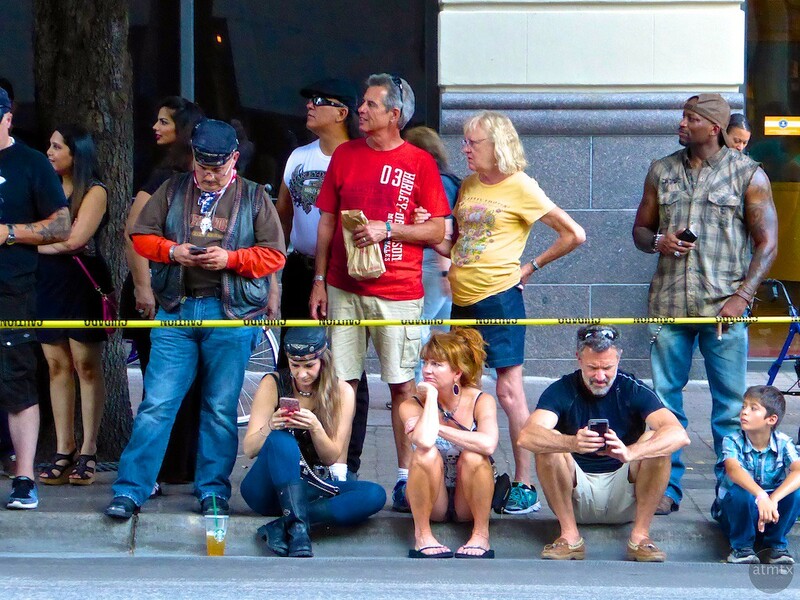 It is also a photo commentary on the centrality of cell phones in our brave new world.